Fire truck at night, file photo. Both boys were able to escape the fort, but they sustained non-life threatening second and third degree burns. 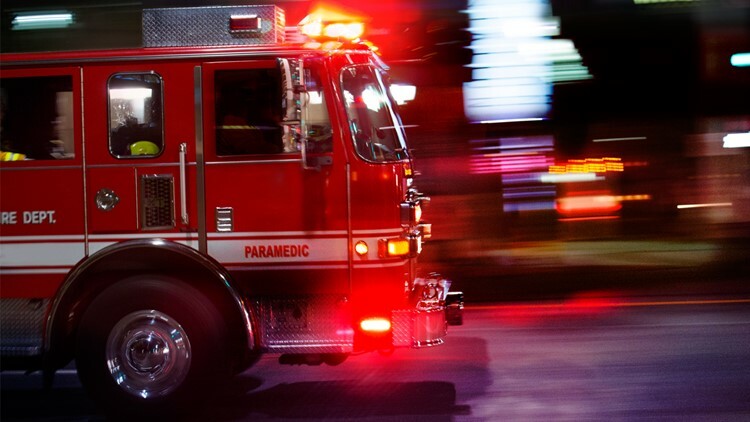 SPRING LAKE, Mich. - Two teenage boys were injured early Saturday morning after a tree fort caught on fire in Spring Lake. The Ottawa County Sheriff's Office said that five teenage boys built a fire at the tree fort on Erie Drive off of 148th Avenue. Three went home, and two decided to stay the night in the fort. They decided that one person would stay awake and tend the fire and the other would sleep. Police say that the two boys admitted to drinking alcohol and smoking marijuana, and they both fell asleep on a mattress that was near the fire. The mattress caught on fire and the tree house was engulfed in flames.